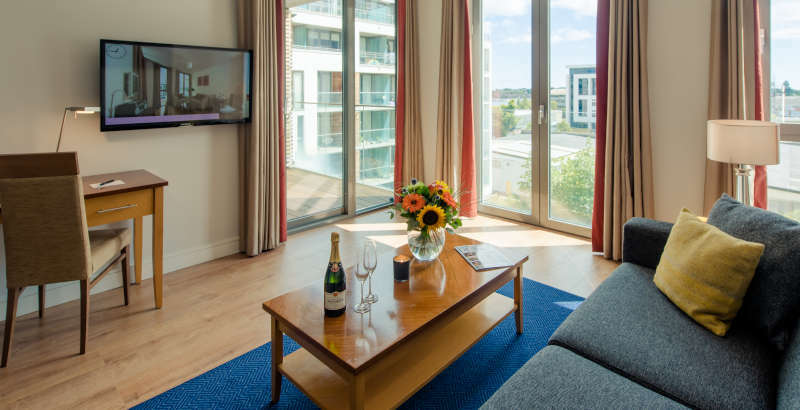 Our Sandyford serviced apartments offer business and leisure guests the perfect place to stay in Dublin. 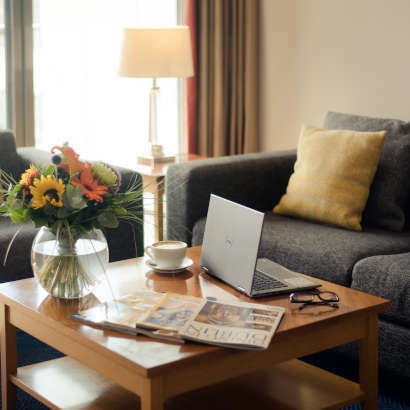 An ideal alternative to traditional hotels, enjoy the space and convenience of your own home in a stylish, elegant setting. The comfortable, fully furnished suites are available with one, two or three bedrooms. Our location near Sandyford Business Park makes us ideal for relocations and we offer a range of flexible corporate packages. We enjoy a selection of shops, restaurants and bars on our doorstep or hop on the Luas (the Stillorgan stop is 2 minutes walk, opposite our building) to whisk you into the heart of Dublin city or nearby Dundrum Town Centre.